With news of cyber attacks making headlines on a weekly basis these days, taking steps to make sure your online accounts are as secure as possible is more important than ever. 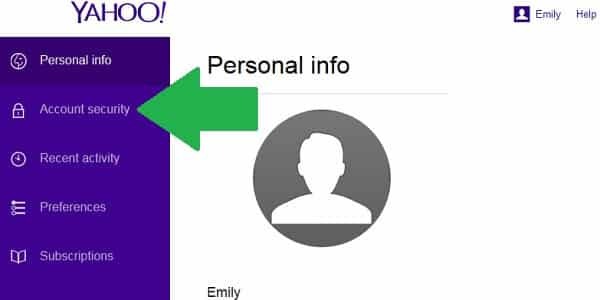 There are several ways you can make your Yahoo account and email more secure, and considering how much of our lives and personal information can be found through our email accounts, it’s not a matter that should be taken lightly. 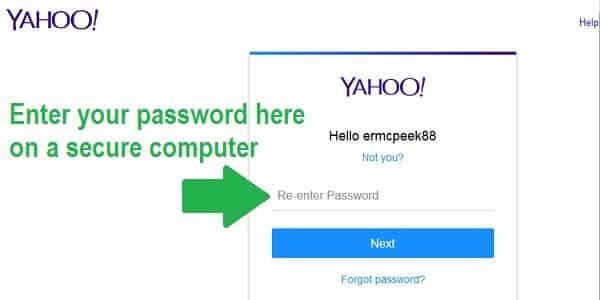 In this article, we’ll cover some ways you can keep your Yahoo account secure from hackers and other attacks, with step by step instructions on changing your password, setting up two-step verification, and signing in on shared or public computers. If you receive an email from someone you don’t recognize, delete it and don’t click on any links or images that may be inside it. If you receive an email from someone you do know but that looks suspicious, contact them some other way to see if they actually sent you the email or if their account was hacked. If they don’t remember sending any such email, delete it and don’t click on any links or images. They should change their password right away. If you get an email that looks like it’s from a bank, government agency or other official entity, don’t give any personal information. If they request your login information, don’t click on any links inside the email – instead, type the web address of the bank, agency etc. directly into your web browser. If there are problems with your account, these agencies will usually use snail mail to deal with them, not email. You may want to contact the bank, agency, etc. about a potential “phishing” scam. Don’t believe any email offering to pay you money after they receive an upfront payment from you. Use common sense – if an email smells fishy to you, better safe than sorry. 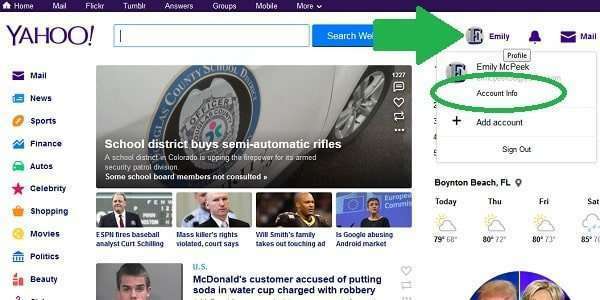 Start by logging into your Yahoo account on a trusted computer (preferably a computer only you have access to) and going to your homepage. Click on your name in the upper right-hand corner to open a dropdown menu, and click on “Account Info”. 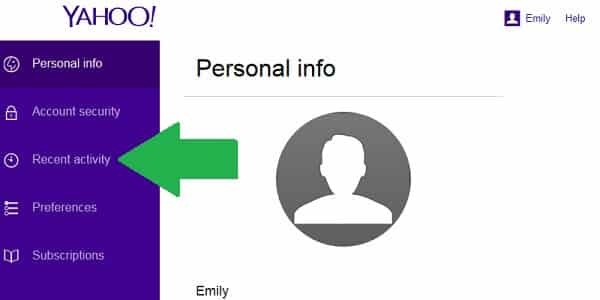 You will be taken to the Personal info tab, which includes your name, Yahoo ID, date of birth, and other personal information. To change your password, click on the next tab, labeled “Account security”. For security purposes, you will be prompted to re-enter your Yahoo password. When you’re finished, click “Next”. Next, click on “Change password”. Create a new, strong password and follow the on-screen instructions to complete the password change. Two-step verification is a more secure way to login to your Yahoo account. In addition to entering your password, you will also have to enter a single-use code sent to your cell phone, meaning that even if a hacker got a hold of your Yahoo password, they wouldn’t be able to access your account unless they also had your cell phone in front of them. 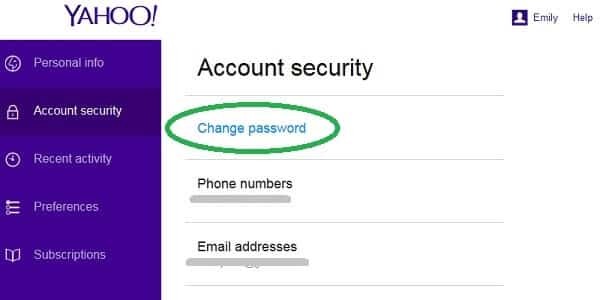 To set up two-step verification for your Yahoo account, go to the same “Account security” tab described in the first section, and click on the switch button that says “Two-step verification”. 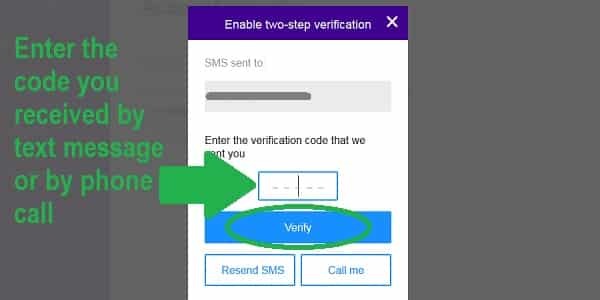 On the next screen, enter your cell phone number where you want all future verification codes to be sent each time you login to your Yahoo account. 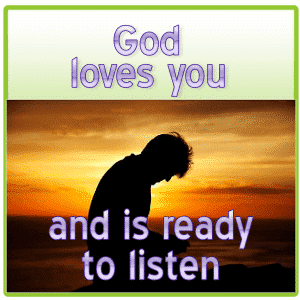 You can either have the initial verification code sent via SMS text message or phone call. Enter the verification code you received into the appropriate box and click “Verify”. Being able to access your Yahoo Mail and other account features from any computer is very convenient, but it also exposes you to increased risk. Not all computers have proper antivirus, anti-spyware and anti-malware programs installed and could be infected with harmful software. Some unscrupulous individuals place hardware or software keyloggers on public computers, which record every single key you hit on the keyboard, including usernames and passwords! If you habitually use public or shared computers (which is any computer that can be accessed by someone other than you, including at work), you should periodically check the sign-in activity on your Yahoo account to see if it has been accessed in any strange locations. To check recent activity, go to the “Account info” section again from the homepage menu, and select the third tab labeled “Recent activity”. It will list the locations and devices which have most recently been used to login to your Yahoo account. If you don’t recognize any of them, use a secure computer to change your password right away. Finally, whenever you login on a shared computer, make sure you uncheck the box that says “Stay signed in”. When this box is unchecked, you will be logged out automatically when you close the browser so that others can’t sneak into your account.